For those who follow closely the strongest argument against the U.S. trade and economic policies of the past 30 years has been the outcome. We don’t need to guess what the pro’s and con’s of the U.S. Chamber of Commerce position is, we are living them. We don’t need to guess what the Wall Street economy delivers, we are living through them. For the past 30 years the U.S. has lost jobs, wages have been depressed, and the middle-class has suffered through the implementation of economic trade policy that destroyed the U.S. manufacturing base. None of this is in question – the results stare us in the face – yet the Wall Street and multinational corporate club(s) [U.S. CoC chief among them] now demand a continuance of the same. The economic and trade policies of the Trump administration are adverse to those interests. As we have shared for several years, candidate Trump, now President Trump is an existential threat to the multinational program. All opposition to President Trump is about the underlying financial and economic policy of America-First. There are trillions at stake. Those who have read here will note the media are generally oblivious to America-First economic policies; this includes the financial media. As an example today they are trying to figure out how Steel/Aluminum tariffs would work. Commerce Secretary Wilbur Ross stated clearly exactly how the Steel and Aluminum policy would be carried out; yet for the financial media they claim to be clueless. The level of intellectual dishonesty is off-the-charts. The truth is, well, two points: •Point #1 – the media don’t want to know; they are committed to selling the prior policy. •Point #2 – there’s almost no-one within the professional economic punditry class who have ever given thought to what happens during the space between two fundamentally different economic policies as executed. What happens in the space between taking the U.S. economy off the path of ‘service-driven-globalism’, and reasserting the economy back to a balanced ‘production-based national economy’? None of the key participants within the larger discussion have ever contemplated this dynamic. CTH is one of the few, perhaps the only source, who has gamed-out MAGAnomics. All opposition to President Trump stems from the underlying financial and economic policy. All opposition is about money! When you ask the “why” question five times you end up discovering the financial motive for all opposition. It doesn’t matter who the group is; the opposition is ultimately about money. There are trillions at stake. U.S. stocks, centered around U.S. domestic companies, will go up. U.S. stocks, centered around multinational companies, will go down. As Secretary Wilbur Ross, U.S.T.R. Robert Lighthizer and U.S. President Trump have previously affirmed, they are going to restore the U.S. manufacturing and production economy -OR- lose office trying. The U.S. Steel and Aluminum tariffs are just one component of the larger economic issue. Bringing back U.S. production on those sectors is vital to the infrastructure of a manufacturing and production economy. Additional steps will come from exits of NAFTA and renegotiated trade deals with ASEAN nations, China and Europe. We either have a stable broad-base economy, or we follow the former path and eventually lose the country. In this transitional phase (the space between) wage growth will remain ahead of aggregate inflation. No former economic models have any way to measure or gauge this dynamic. We have never been between two entirely different sets of economic policy before. No amount of immediate fed monetary policy will effect what happens on Main Street in this “space between” the two economies. This entry was posted in Big Government, Big Stupid Government, Decepticons, Deep State, Dem Hypocrisy, Economy, media bias, NAFTA, President Trump, Trade Deal, Uncategorized, US dept of agriculture, US Treasury, USA. Bookmark the permalink. We are quickly going the wrong way in our trade balance. Much pain to fix that. We have been doing the wrong thing for 40 years and it will take time and a lot of pain for change. 2) Wall Street stock markets much lower on trade wars and reactions. 3) US dollar much lower as USD dollars will not be needed as much for trade processing. 4) Inflation going up on higher prices and lower US dollar. 5) FED will raise interest rates faster to counter this increase in inflation pressures. 7) Trump needs his tariff tax to help his very quickly growing budget deficits set to soar over 1 trillion dollars in 2018. The real deficit (the total actual plus accrued cost deficit) may be over 1.5 trillion dollars this year. If one does not take all of the above under considerations as the possible downside, then one is not ready for this battle. I am ready for the battle and willing to push for it and own all the down sides and there will be massive downside up front for years. Real change takes a willingness to endure real pain for a while. MAGA is not free and easy at times. The Fed raises rates because of bogus model, not because it knows how to measure inflation. I agree! What is interesting is with the announcement of this policy of raising tariffs on Imported Steel and Aluminium products is China’s threat of retaliation and is it any coincidence that the US also announced to implement policy that recognises Taiwan as an independent state, something that conflicts with China’s “One China” policy? It is such decisions that China says would invite the use of force against Taiwan? Trump is a Jacksonian President, and thus trade is one focus of importance for the long term stability of the country. Just like Jackson who also saw trade and the importance of it, Trump having a pair in a full house is a winning hand, or having a pair is ballsy, and necessary when dealing manipulative masters such as the Chinese! The US will need it’s steel for building up the infrastructure within the USA. So losing market share with Canada and Mexico is not a large hit. The US cannot continue to bleed $800 Billion / year in foreign account deficits. Either we pay the price now or we pay the price 5 to 7 years from now when the US dollar is 45 on the Dollar index. How about the hit we would take if suddenly the dollar was no longer the currency of choice worldwide? Look what happened to the United Kingdom when the British pounds sterling was replaced by the dollar as the reserve currency. Not too hard to imagine, the way our deficits are growing. I remember (and still have some of the cartoons -somewhere; the pack rat that I am) about the doom-and-gloom deficit numbers from back in the Reagan years. Global economy and global manufacturing/digital fat-cats, if I read this right, make their money where ever, even if it is outside of the U.S. whose muscle and might gives protection in the global jungle. Slave-wage cultures are a favorite. Also, inflation is a tricky word. Price rises due to scarcity are far different from price rises due to “Quantitative Easing” or pumping paper dollars into the economy. Trump knows that what Renoldus Magnus did in the 80’s was the right formula for prosperity. When you set people free to do as they please with there money, capitalism thrives. If your people have no jobs and no income, then you have no tax base. Without a tax base, you cannot service your debts. Grow the US economy domestically, raise incomes and employment, stop paying for third-worlders and the debt will be easy to service. When the market drops below what it was for YEARS pre-Trump, then we can call it a “recession” just like MSM did before. When increased cost of goods reaches above the increase in your paycheck after that whopping tax cut, then you can fret. Or tighten your belt and MAGA. I recall when cheap goods from overseas countries were not only cheaply made but cheap in price. But the prices keep climbing while the quality keeps going down fown down. And Brazil is threatening with biofuel and cotton? Didn’t DJT as candidate support IOWA for biofuels? 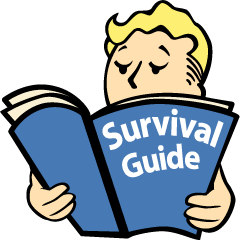 Survival Necessities: food, clothing, shelter, heat to survive, weapons to protect ourselves… are all very basic to our survival! Time to restart the textile industries in USA too. Grow US cotton and use it right here! Buh bye Brazil! The problem is labor cost. SE Asia is the textile center for most of the world. A worker in Vietnam, Cambodia is paid less than $10 a DAY. This appears to be slave labor compared to US workers, but the living costs in these countries are so much lower than the US. Cotton and hemp. Should be no problem now. I suspect that your are not reading what the lying pussies we call Democrats have to say. Here is a court win for companies in the energy sector. Getting control over frivolous lawsuits should help these companies to be able to focus on their business and not wasting money on paying attorney fee. You will not pay “more”. You have been paying less, for years, but you have also shipped our livelihoods away, too. No, you will be paying the “correct” prices that you avoided all these years. What you will feel is the return from absurdly low prices to correct prices. Call it kicking the fast food couch potato lifestyle and getting back to milk, meat, broccoli, and potatoes with a little bit of mowing the lawn thrown in. Who despises that? I was at the right scoop trying to explain this and man o man are the against tariffs big time. They have no idea. Remember when every town had one or two TV repair businesses or appliance repair businesses? The reason was the cost of TV’s and appliances were higher relative to income, and people would rather fix them than buy a new one. We have gone through the looking glass, where goods that were once durable, are now disposable. You can’t fix your TV or appliance for much less than what a new one would cost. Better than that was the self-service TV repair booth in your drug store, providing a “tube tester” and a whole array of replacement vacuum tubes for your TV. You only called in the repairman when all avenues of DIY were closed. Appliances, when the finally did break down, usually just needed a new belt or motor, not replacement of the small computer module running the thing! Now these damned millennials cant””t even change a flat tire on their Priuses! My dad is 88. He has a Kitchenaid dishwasher that is..wait for it…46 years old. They remodeled the kitchen when I was 18 and the darn thing is still humming away. They also gave away a 27 year old Hotpoint refrigerator in 2008 that in 2010 was still working. They have not talked to the lady since then. It’s important to have a stable and profitable steel & non-ferrous manufacturing industry from a national defense standpoint. We need to have the ability to manufacture trucks, tanks, weaponry in the event of attack. The US imports 90% of aluminum that companies use to make everything from beer cans to fighter jets. The US has gone from having 23 aluminum smelters in 1993 to five, according to the US Geological Survey. One of the smelters, Century Aluminum, makes high purity aluminum for fighter jets. If Century were to close, the US would be forced to buy the high-grade aluminum from China or the UAE. If that supply were cut off during an attack, the result would be disastrous. Not every high school student needs/wants or is capable of a college education, not to mention the debt burden. We need people in the metals industry, welders, ironworkers…people that can actually produce a product. Our last lead smelter (in Arkansas) closed during the Obama years. Fortunately most of that gets recycled, so we will be OK until we can get another open. 60 minutes had a special a few years back on our production of rare earth minerals that shut was down (regulations?). They are only used in tiny amounts, but are vital and there is no substitute. It is suppose to take 10 years to get production up to speed, if we decide to do so. But that was BT (before Trump). i remember being 20 something back in the 80’s when the powers that be were pushing the idea of america becoming a “service-based” economy and thinking to myself what? why? how does that work? of course, my filter was skewed by growing up in a strong country that was damn near self-sufficient economically and full of relatively prosperous, hard-working, optimistic people. now, we have close to two generations of people that never experienced that. they have no knowledge of that america. how powerful and providing that balanced economic model was. somebody in the administration needs to be tasked with brief, pointed, televised “teaching” moments. somebody needs to put select MAGA topics into historical perspective for the average citizen who has been purposely dumbed-down by liberal educators. some recent choices would be: believe it or not, we used to be economically self-sufficient/quick and dirty pluses and minuses; original intent of the 2nd amendment and why it’s still valid today; and yes, citizens clamored for immigration quotas before and congress actually listened to them–immigration act of 1924. that way, after 8 years (hopefully) of common sense, pro-america Trumpism, we will have a better informed populous and it will be harder for future leaders to erode what he is working so hard to restore. we want our country back for good. I remember the same thing. And, I also remember how right after Reagan was elected, the company I worked for, an engineering company in Houston, was acquired by a person who subsequently killed the pension plan and put in place a much less generous 401-k. The guy who acquired the company paid for the acquisition with savings from exiting the pension plan. Later, the same company sold all of its IP to Koreans and many of us ended up teaching Koreans how to design process plants based on their newly acquired IP. All of the company’s R&D activity and pilot plants were also shut down. I think they called it reallocation or more efficient use of capital. Not saying Reagan intended this outcome, just saying it happened while he was president. It’s like the plots to all of the Die Hard movies. There’s a lot of misdirection by the bad guys, all covering up a massive cash grab. What no one ever mentions is before the Federal Reserve Act and the two Amendments passed in 1913 (Federal tax & loss of STATE representation) the federal government was funded by TARIFFS. Who paid those tariffs? Why the WEALTHY paid the tariffs because they bought most of the exotic imported goods! GREAT INFO !! Teaching people how American funded SMALL GOVERNMENT before the not FEDERAL no RESERVE ACT is paramount to the MAGA plan IMO. The early Trump administration to create a parallel MAIN STREET BANKING SYSTEM to fund CAPITALISM again in America is at the ready . The pen and phone opening of our domestic energy harvest had to come first . Now with Aluminum and Steel with a level playing field they are of vital importance to NAT SEC and the infrastructure rebuild to MAGA . Many Americans today have NEVER lived in a market economy . Normal for them is centrally planned KEYNESIAN economics . Boom and Bust FED PLANNED economies where the owner of the FED win and American’s lose . With domestic Steel and Aluminum the fast tract to replacing Electrical Generation and Refineries comes online . America as a SELF RELIANT nation rather than one in a managed decline by the SHADOW GOVERNMENT . Us TREEPERS know that even IF the MSM could find a capitalist pundit out there they would never permit that to air on their NETWORKS . I remember when President Johnson was leaving and Richard Nixon became President. The US population was 202 million. President Trump with his MAGA AMERICA FIRST policies is also building the mechanism to fund small constitutional government . In a post -FED world thee TARIFFS will help run a limited government as was the case prior to the 1913 FED ACT . We can speculate that Social Security and Medicare will be privatized in the future as well . Taking the GALVESTON TX approach of opting out of SS . Most likely managed accounts by some small footprint of SS /Medicare in a managed transfer over to the private sector eventually . The drop in fuel and food prices dropping is fantastic news. But my real question is wages and will they increase and if so – how fast? My background is in manufacturing: in 1998 the wage for a good machine operator with distinct knowledge and experience in “set up” could expect to make about $14 to $16 per hour. Here we are in 2018 and the salary is about the same. However, the price of fuel (gas) has remained the same but food prices have “necessarily” skyrocketed. Where and when will this balance? Whether it’s judicial appointments, ambassadorships, or legislation… Trump is up against BOTH parties… who ever heard of an incoming administration unable to fill it’s cabinet?